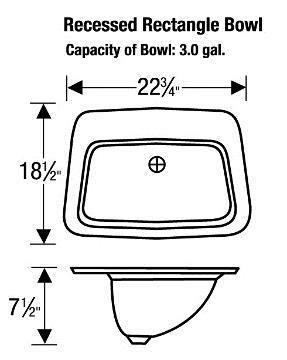 A dramatic flared rim surrounded by a functional recessed faucet landing highlights this bold, rectangle bowl design. A spacious bowl adds style and beauty to the overall look of your vanity top. 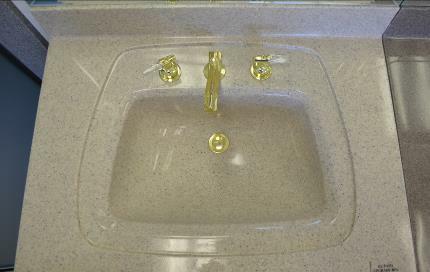 A recessed area helps keep water and soap off the vanity top reducing cleanup.